There’s rarely much to talk about design-wise with an external drive, so the the fact that the top of the Ultra Touch is carpeted—excuse me, covered—in a polyester basket-weave immediately makes it distinctive. I quite like the look, but taste is subjective. 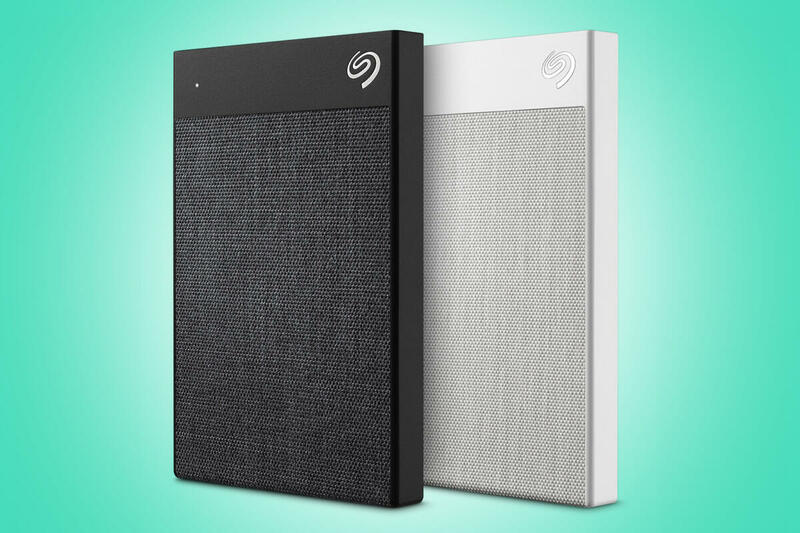 As to the technical details, the Ultra Touch is a 2.5-inch external USB 3.1 (Gen 1/5Gbps) hard drive available in 1TB (the capacity we tested) and 2TB capacities, and either black or white.